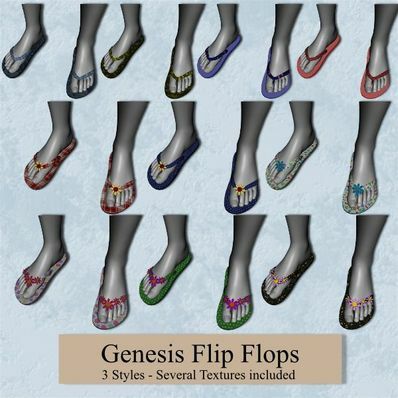 Flip Flops in 3 styles for Genesis for use in Daz Studio 4. Plain Flipflops, with a single flower, and with several flowers. Will work with most poses and shapes. Just too cute! Thank you for the added textures and MATs.